SALISBURY — Rowan County Crosby Scholars’ latest initiative, an “Inside Out” workshop, was held on Feb. 20, at Catawba College. This workshop focused on helping students understand some of the elements necessary to be successful in life, emphasizing the importance of self-esteem, setting goals, and presenting your best self to others. “The development of Inside Out was a collaborative effort on the part of our staff. We were excited to provide a workshop designed to allow scholars to reflect on how personal perception and presentation can affect their future . 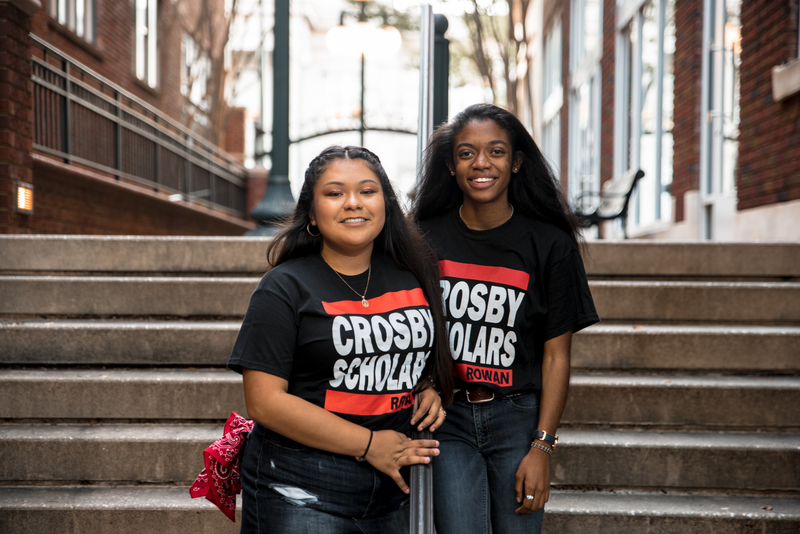 . . in terms of college choices and eventually in their careers,” Allison Lee, Crosby Scholars high school coordinator said. With scholars in attendance from around the county, the event began with a “real talk session” with Frank Strong, Sr., a Junior ROTC instructor at Salisbury High School, and Dr. Julie Morrow, Rowan County assistant superintendent for curriculum and instruction. Morrow and Strong shared their own life stories and discussed the importance of having a positive mindset in order to create a path toward success. This theme continued throughout the day, as students were placed in small groups led by Crosby staff and volunteers Tyler Rea and Israel Suarez, and asked to discuss their individual plans for success. While discussing short and long term goals, students gained insight on what it meant to create their own journey. “This workshop has helped me a lot with self-esteem and being confident with who I am.” Cole Myers, a West Rowan High sophomore said. “Today has shown me that I can plan for the future. It’s okay not to know what you want to do and have your life planned completely out,” Hannah Venable, a sophomore at Carson High School, said.